The Global Database on IDP Laws and Policies captures information on countries which have IDP laws and policies or are in the process of developing such laws and policies. The 20th anniversary of the Guiding Principles is a unique opportunity for us to join our efforts worldwide to re-invigorate national-level action to enhance IDP protection, and to work more concertedly with a broad range of stakeholders on prevention and solutions. The Global Protection Conference in 2018 brought together more than 200 participants from around the world and covered substantial ground through formal presentations, panels and interactive group sessions. 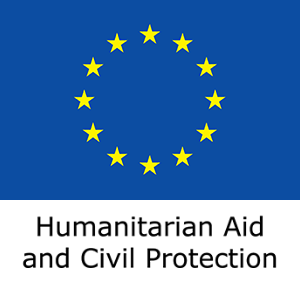 Established in 2005 as part of the humanitarian reform, the Global Protection Cluster (GPC) is the main inter-agency forum at the global level for standard and policy setting as well as collabo-ration and overall coordination of activities supporting the protection response in complex and natural disaster humanitarian emergencies. In light of their specific expertise, certain agencies have agreed to serve as Focal Point Agencies for certain Areas of Responsibility (AORs) within the GPC: Child Protection (UNICEF), Gender-Based Violence (UNFPA), Housing, Land and Property (NRC), Mine Action (UNMAS). A platform for innovation and information sharing targeted to the needs of the field and protection actors to inform analysis and priority setting at global level. Another year has passed during which the Global Protection Cluster (GPC) and its partners have benefited from the generosity and support of our donors PRM, ECHO and SDC.